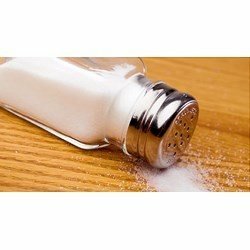 Are you consuming too much sodium? Many of us do not use table salt on our lunch or dinner plate and when we eat out we ask that the meals be prepared without salt, but what about the foods with hidden sodium that we don’t think would have any salt to begin with. Surprisingly many of our favorite grocery items are full of salt. Frozen dinners, for those who do not have time to cook and who prefer to eat, quick ready to eat meals from the freezer may be consuming as much as 787mg of sodium. Boxed cereals such as corn flakes or raisin brand may look like they would be more sweet than salty but look again, many of these breakfast cereals have 266 to 342 mg of sodium. Vegetable Juices, may seem like a healthy way to get your 5 a day requirement of veggies but this tasty red drink can be as much as 653 mg of salt.Canned vegetables are another source of hidden salts and preservatives, and due to the sauces such as in cream style corn you could be consuming a high 730 mg of salt.Packaged Deli Meats, can really be a quick and easy way to make a sandwich for lunch to save on eating out but it also can have much hidden sodium, such as in beef or pork salami which has 604 mg of sodium.Soups, in the winter months are a nice meal for keeping warm and our favorite chicken noodle soup that we like to have when we catch a cold is as high as 1,106 mg of sodium.Teriyaki sauce and soy sauce are other flavorings and seasonings that carry a punch of 690 mg of salt, which does not count the dish that the sauce comes with.Spaghetti sauce surprisingly has a really high amount of sodium, one jar is 1,020 mg of salt and that may not even cover a whole pot of pasta. Some more obvious salt offenders would be nuts, pretzels, ketchup and relish, reading labels may not be enough to determine just how much salt you are actually consuming per serving, simply because there is usually several servings in one package of food. Studies show that the DASH diet helped users to have an intake of sodium of 1,500 mg a day and leads to reducing the risk of coronary artery disease. apples, apricots, bananas, beet greens, broccoli, carrots, collards, green beans, dates, grapefruit, grapefruit juice, grapes, green peas, kale, lima beans, mangoes, melons, oranges, peaches, pineapples, potatoes, raisins, spinach, squash, strawberries, sweet potatoes, tangerines, tomatoes, and tuna. Our kidneys control the level of salt that are body consumes and if we intake too much sodium it ends up in our blood stream. Much of our water weight gain comes from the salt in our body draws the water in to the blood which raises blood pressure. Lowering your salt intake is possible by avoiding processed foods as much as possible. use alternative food choices and look for items that state they are low in salt before you buy it at the grocery store. Risk increases with age due to arteries hardening, decrease in kidney function along with less activity can make a person who is sensitive to salt or who is experiencing hormonal changes, there is a higher chance of heart attack or stroke. Its possible to lower blood pressure with a proper healthy diet for disease prevention. Watching calories and portion size, is necessary because we may not be aware of how much we are actually eating on a daily basis. As we get older it is beneficial to reduce calories and eating foods high is potassium, magnesium and fiber will help with better blood pressure control. High blood pressure (hypertension) is a serious condition that is not easy to detect. It is often referred to as the silent killer. Symptoms associated with high blood pressure are not always obvious. Working foods that lower blood pressure into your diet gives you the opportunity to take a proactive approach to reversing your hypertension without having to depend on expensive medications or prescriptions. 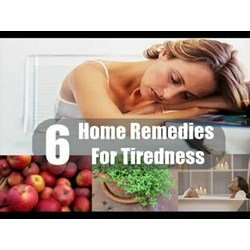 If you have been diagnosed with hypertension, natural remedies for high blood pressure may be something you are interested in trying. Do these herbal remedies work? Statistics state that more families are looking at natural ways to cure and prevent disease. High blood pressure, also known as hypertension, is a primary risk factor for heart disease and stroke. It is estimated that 60 million Americans have high blood pressure from the age 6 upwards. Just about anyone with high blood pressure can succeed at lowering hypertension if they are committed to doing so. Over eighty million people living in the United States are affected by hypertension. Its possible to change your diet and avoid high salt intake by being conscious of reading food labels at the grocery store, substitute processed foods and eliminating fast food and ready to eat meals. It will be worth the effort for a healthy lifestyle.